So I’m creating a world where the ground is mainly made of different rocks and stone in most areas - soil is sparse. Could trees and plant life grow on the stone ground if a water source is nearby? eg. If the rocks are permeable could plantlife grow? Yes, there are plants which are specialized in growing in harsh terrains. 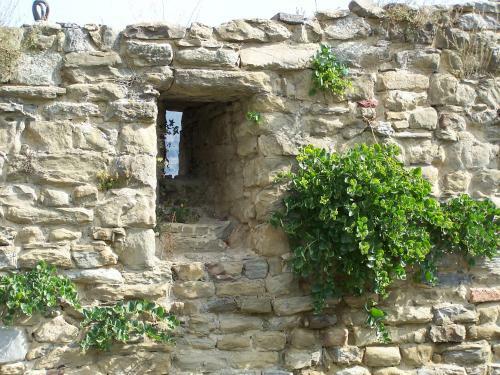 Take the caper: I have seen plants of this species growing onto walls, rocky cliffs above the sea and other conditions where soil was scarce. Their root can propagate through rocks searching for water, and can survive with very little water. Like this one there are other plants which are adapted to harsh conditions and scarce soil. Look for example at most of the plants growing in the maquis shrubland. Lichens are notorious for being able to grow on bare rock; they are often considered pioneering organisms, able to colonize bare rock and, in time, create enough soil to enable the growth of plants. But the lichens themselves are not plants, they are "composite organism that arises from algae or cyanobacteria living among filaments of multiple fungi species in a mutualistic relationship (Wikipedia). Lithophytes ("rock plants" in Greek) are plants that grow in or on rocks. 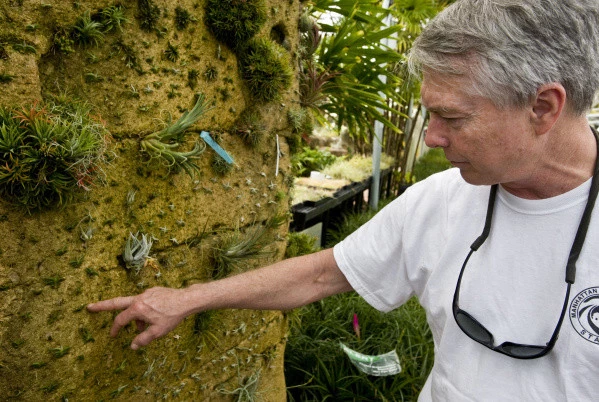 Those that grow on rocks are also known as epipetric or epilithic plants. Lithophytes that grow on land feed off nutrients from rain water and nearby decaying plants, including their own dead tissue. Chasmophytes grow in fissures in rocks where soil or organic matter has accumulated. 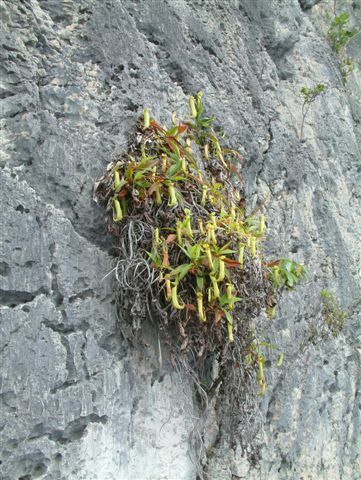 A Nepenthes plant growing as a lythophyte in Raja Ampat, New Guinea. Photograph by Alfindra Primaldhi, available on Wikimedia under the CC BY 2.0 license. Ammophila arenaria in Grenen, Denmark. Photograph by Malene Thyssen, available on Wikimedia under the GNU Free Documentation license, version 1.2 or later. Populus euphratica, the desert poplar. It is a medium-sized deciduous tree that may grow to a height of about 15 m and a girth of 2.5 m (8.2 ft) where conditions are favourable. The stem is typically bent and forked; old stems have thick, rough, olive-green bark. The species has a very wide range, occurring naturally from North Africa, across the Middle East and Central Asia to western China. And, of course, how could I not mention my favorite psammophiles, the salt cedars, Tamarix. Tamarix aphylla in Algeria. Photograph by Anthere, available on Wikimedia under the GNU Free Documentation License, version 1.2 or later. Airplants because of their natural propensity to cling wherever conditions permit: telephone wires, tree branches, barks, bare rocks, etc. Not the answer you're looking for? Browse other questions tagged biology environment earth-like geography or ask your own question. Are all combinations of right-handed and left-handed amino acids and sugars equally likely? Could an entire civilization live in an upside down forest? What's the most effective clothing in a pre-industrial world of aggressive plant (and animal) life?